The snow lion is a fabled Tibetan being, symbolizing fearlessness and joy. He is part of many folk tales, is viewed as a protector of the Buddha and for long has been used as a National emblem of Tibet. 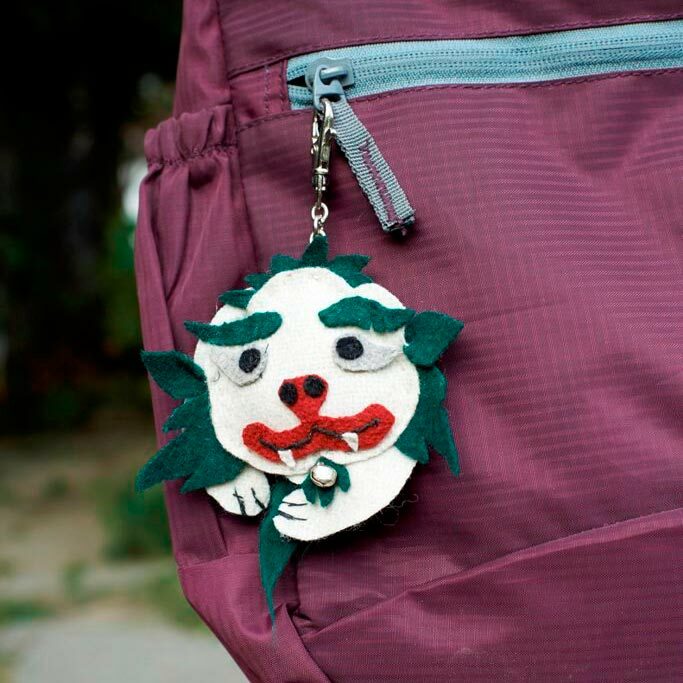 Our snow lion bag clip is made from felt and filled with material cut offs, thus part of our ambition not to create any wastage and of course helping us to promote Tibet’s unique identify and culture. Please note: While maintaining a distinct style, due to its handcrafted nature, each product will vary slightly. If you prefer these items as key chains, please mention this in the comments box when checking out.